Following my last post about remarkable juxtapositions of ancient and modern analogues, I realized last week that the converse or opposite is also more common than might be supposed. Appropriate modern analogues are often located an immense distance from the ancient deposits to which they are similar. Since some of us tend to study rocks that are near where we live, this means that we would need to travel thousands of kilometres to see similar modern examples. For this, we can blame (or thank) the combined effects of time, plate tectonics, and climate change. If you are able to stand in one place for long enough – a few hundred million years should suffice – then eventually that place will be nowhere near where it was when you started standing. You have not moved, but the continents and seas have moved around you. I had this thought as I repetitively ground specimens in the lab. These were little bits of mudstone that had started off as fine carbonate sediment on an immense tropical tidal flat or mudbank some 445 million year ago. This shallow water environment was somewhere just south of the equator, in a large sea that covered the middle of the ancient continent of Laurentia. Over time the mud was buried under other sediment and became rock, and the sea went away to be replaced by land. Laurentia continued to move ever so slowly, bumping up against the other landmasses 300 million years ago to form the supercontinent of Pangaea. When Pangaea rifted apart 100 million years later, most of Laurentia became most of North America, moving northwestward and leaving a widening Atlantic Ocean in its wake. 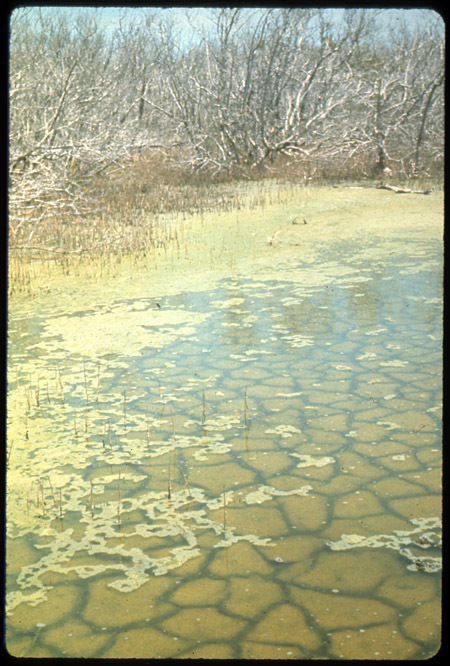 After all those travels, part of that ancient coastal mudflat eventually became the William Lake site, situated now in a boreal forest in the middle of a northern continent, where it is alternately frozen for six months of the year and infested with blackflies and mosquitoes for the other six months. 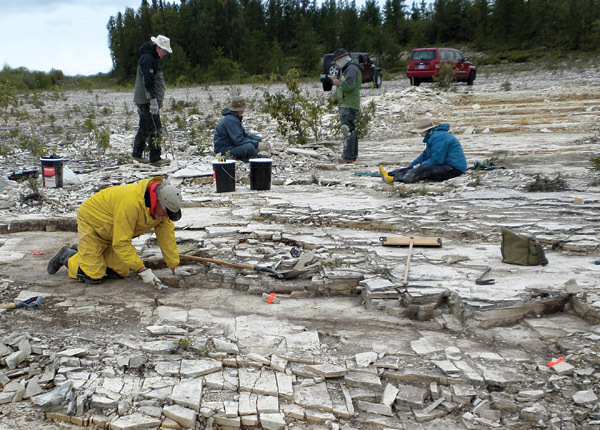 We go to William Lake to collect the wonderful fossils of creatures that died on that mudflat, but there is nowhere nearby that we can see comparative examples, either for the creatures or for their environment. A modern analogue for William Lake? 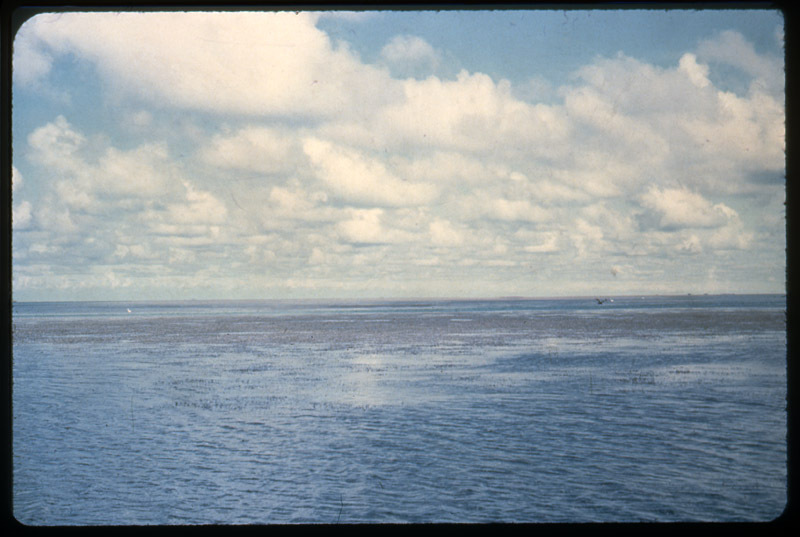 The tranquil surface of Florida Bay is interrupted by an extensive mudbank. Considering the creatures this is, perhaps, less of an issue. Some of them, such as the eurypterids (“sea scorpions”), have no close living relatives. For others, such as the jellyfish, I can study a great variety of preserved specimens for the price of an air ticket to the collections in Ottawa or Toronto. Or, in some cases, I can simply order preserved specimens from a biological company that supplies schools and colleges. 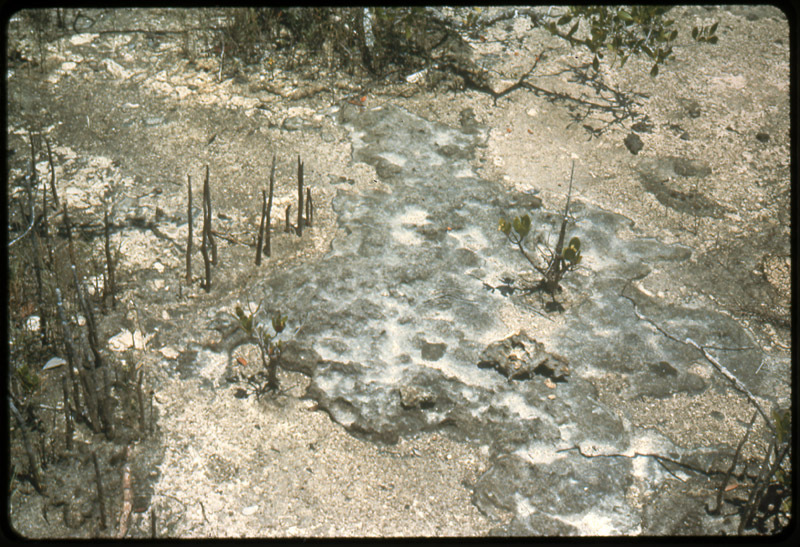 On several occasions I have buried dead jellyfish or other gelatinous zooplankton in wet lime mud, exhuming them for study after the mud had dried and hardened. This may appear comical or strange, but it has turned out to be critical – these creatures have so little tissue, relative to the water they contain, that their appearance changes dramatically as they are compressed and dried out. By carrying out these crude experiments, I have been able to make sense of some very odd fossils. But what of the rocks themselves? We have been collecting at William Lake for just about a decade, systematically peeling back the rocks bed by bed and layer by layer. Now that we have collected much of the succession of units, we are trying to understand how they relate to changing ancient environments. We have been polishing sections through each bed, looking at the fine details that show ancient ripple marks, channels, and mud pebbles. As I examine these, I find that I am spending more and more time reading the scientific literature on similar environments in the modern day. But so often, I find that a paper will only give me a little bit of the information I seek. Just as publications on modern jellyfish don’t really tell me what I need to know about jellyfish fossils, the papers on modern sedimentation do not really answer my questions about William Lake. After all, the authors of those papers were doing research to answer their questions, not mine! 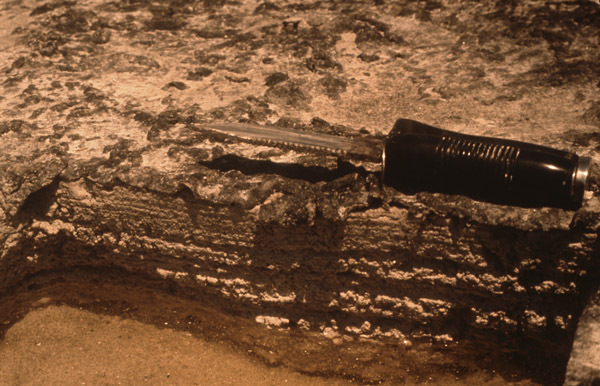 A cut through the supratidal sediment reveals layering below the surficial microbial mat. We see very similar features in the rock at William Lake. I suspect that the answers I need will only come from first-hand examination of modern carbonate tidal flats and mudbanks. 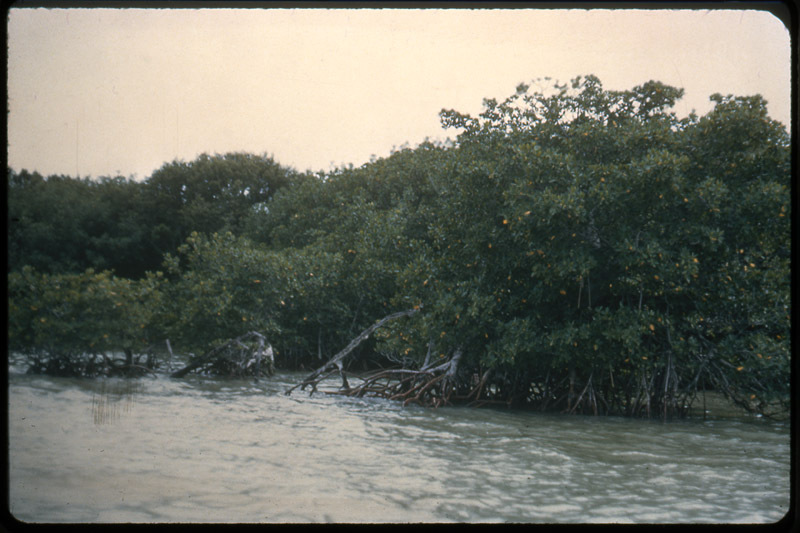 I last looked at such places on a wonderful Florida Keys fieldtrip from the University of Toronto, led by the inimitable* Dr. Frank Beales in 1981. Frank’s trip was one of the best experiences of my life, but it was long ago, I was an ignorant student, and my memories of it are as faded and washed out as the slides I have scanned to illustrate this piece. So it is beginning to look as though I will have to travel to study somewhere warm, coastal, and muddy, preferably in the company of a sedimentologist as accomplished as Frank was. I should go either to South Florida, or (even better) the Bahamas, or maybe the Persian Gulf. But how can I possibly explain to a granting agency that I really need a few weeks in the Bahamas, without making it seem as though I just want a jolly jaunt to escape the Winnipeg winter? Complications, complications. This photo taken just after a hurricane (Hurricane Betsy of 1965?) 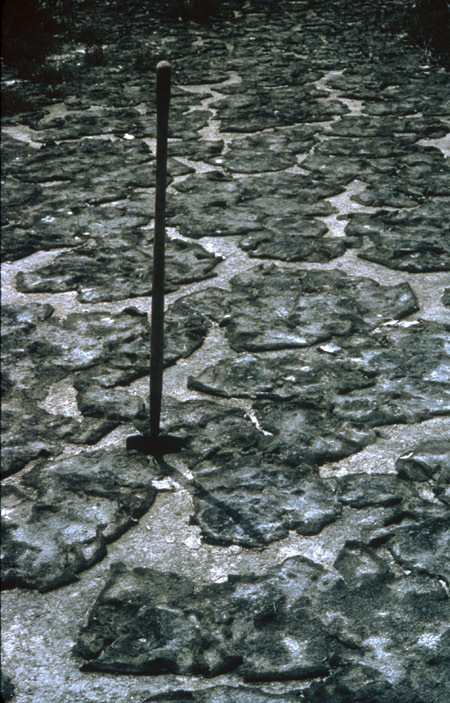 shows how the surface of the supratidal zone can be flooded periodically. The intrepid Professor Beales on the edge of one of the Florida Bay islands. During our trip, Frank appeared to undergo an amazing transformation, from an elderly tweed-wearing British professor to a dynamic, fit, energized, entertaining field scientist who needed no sleep. I’m sure this was his natural element, and of course though he seemed aged to the students, he wasn’t really old at all (just a few years older than I am now, actually!). 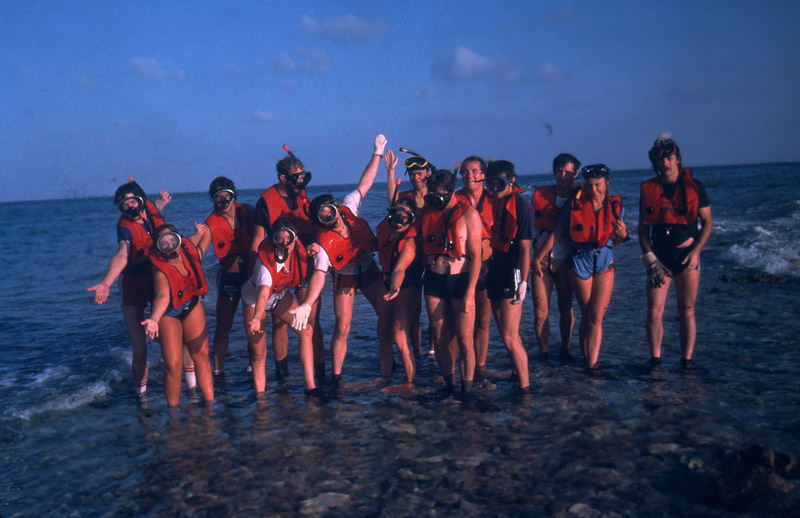 Our group of U of T students, hamming it up on the dry rocks off Key Largo in fall of 1981 (I am the lanky black-haired guy on the far left). Since so much time has passed since these photos were taken, and since most of them were Frank’s and I don’t have a clue who took the others, I have not requested permission to reproduce these images. If any of them happen to be yours, I would be delighted to give you credit, or to add your name if you are one of the other students in the class photo! * Actually, we did used to imitate Frank. 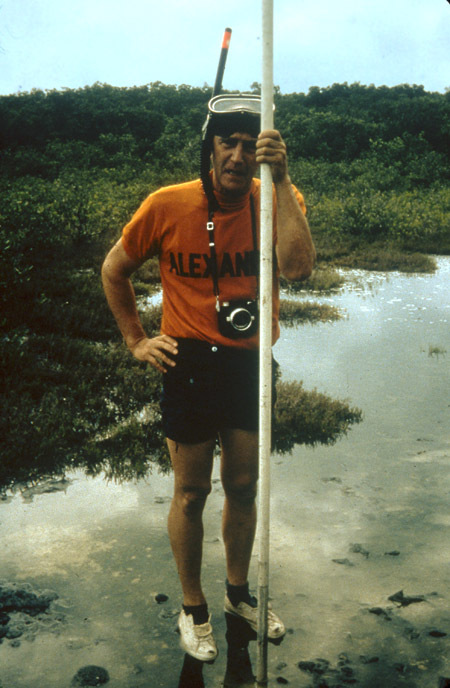 He was a supremely knowledgeable sedimentologist, an excellent raconteur, and a wonderfully kind and patient teacher. In class, however, he tended to lose his train of thought, and his long pauses and drawn out open-mouthed “uhhhhhh”s were legendary (and perfect targets of imitation for the insensitive young students we were then). Ah, the memories … I did two of Frank’s wonderful Florida field sessions – learned more from those combined weeks than I did in many full-year courses (yes, they still had such things “back in the day”). Thanks for unearthing these ancient images and the fond (or fearful) recollections they evoke! Dave, I agree absolutely. Frank’s course and a marine bio course I did in St. Andrews easily gave me as much knowledge and understanding as all the related lecture courses combined. I reckon you could easily cover a full university honours degree in about three months of continuous field courses, if you managed to survive the sunburn, sleep deprivation, and alcohol! Good luck securing that grant! Thank you, Karen. I get the feeling that it will be self-funded fieldwork, if it ever happens. Another interesting read Graham; ask for a grant that will take you to the Persian Gulf! No one would ever think you could go for a holiday……. David, I guess you are right. Somehow from this perspective it seems like it would be a very daunting trip to plan. Do you find it difficult/complicated in that part of the world? Actually no not in the least; well maybe the heat at this time of year, a far cry from York (the first one 🙂 ) In fact the Omani’s are some of the most hospitable people I have met. Look up Huqf Supergroup Oman on google for some interesting reading.